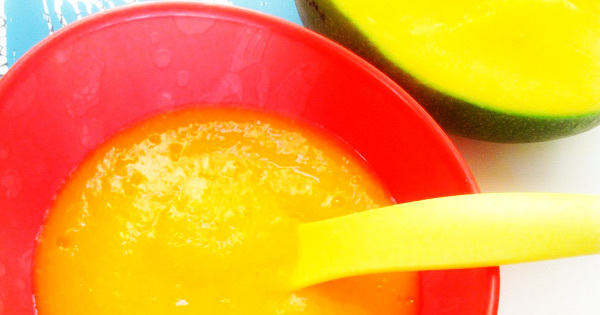 Mango is another ideal fruit to introduce to your baby and quite easy to make too. Rather than buying fruit pots and jars, you can save some money by making yours and do the occasional buying if need be. It is a whole lot healthier and gives joy to be able to make up treats for your baby. I will hopefully bring to you more food purée combinations to delight our little ones. Back to mangoes, easy digestion, improved brain development, good eyesight and helping to fight off microbial infections are some of the benefits for little ones. Peel the back of mango and cut out the flesh into small sizes. Put in a blender or food processor and puree till smooth. Add a little water if you want it more light and runny. Alternatively, you can mash the mangoes for older babies and leave some chunky little bits. Have you made this for your baby? What else did you add to it? Try other baby fruit purees and please don’t forget to share this post with your friends. Thank you as you do.